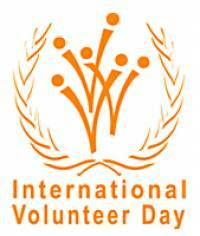 The United Nations just celebrated International Volunteer Day (IVD) on 5 December with the theme “Volunteering for our Planet”. The UN wants to highlight how important it is for people everywhere to get involved as volunteers in finding solutions to mitigate and adapt to climate change. While we celebrate and recognize the highly important role of volunteers in our communities, we also look at the upcoming holiday season. As we get closer to celebrating Christmas and the New Year, I wish to express sincere gratitude and thanks to the volunteers of the Canadian Coast Guard Auxiliary. I also take the opportunity of this great occasion to wish all friends and family members a very happy holiday period. This period of the year gives us the opportunity to not only reunite and enjoy time with our families, friends and loved ones, but also to take stock of our relations to each other. If relations have not been always positive, then this is the time to change positively, not only for our own good but for the good of all. In the CCGA, we take pride in the fact that, as volunteers, we live and work side by side with mutual respect and with the greatest tolerance of each other. This great tolerance must always be nurtured, strongly protected, and maintained. As an organisation and as individuals, we must always care for each other.